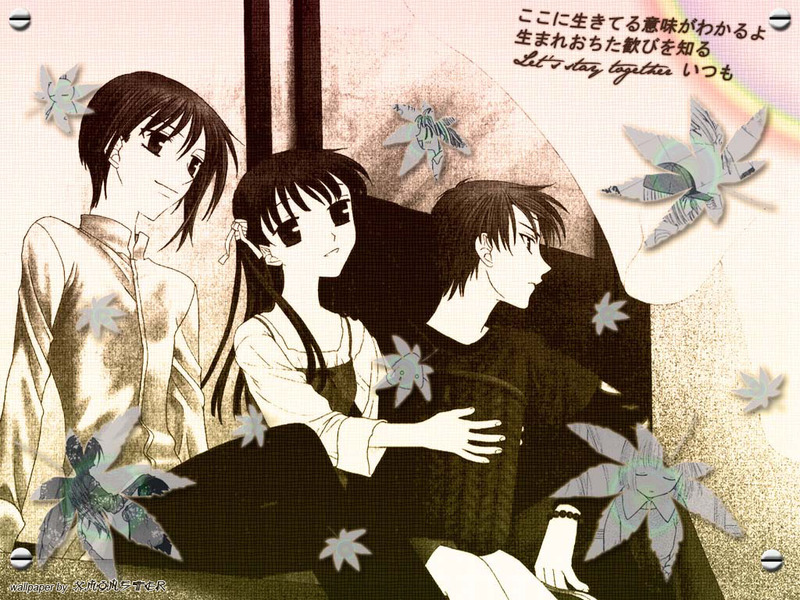 My favorite scene from Fruits Basket - modified into a wallpaper, hope u like it! the colours chosen are great! i love the effect of the leaves filled with a fruit basket picture! Nice job on the wallie. I like the tone of color you did. Also, the touch of the falling leaves you added. I am getting way to involved! I jst really like the colors that you have choosen to do the walli! Oh! So kl! I really luv d effectz! Thnz soooo much! Good job with the wallpaper. ^_^ I've been looking for this image EVERYWHERE... Would you mind telling me where you found it? Thanks! Anyways, keep up the good work! Wahhh... I really like fruits basket. Yuki is same with me..
God job. It's a beautifull wall !